MJ's birthday isn't until the 18th, but we couldn't resist giving her the main present early. 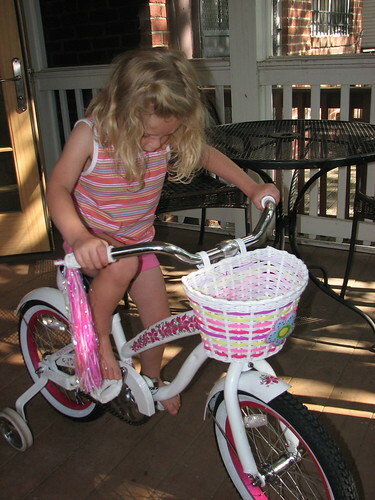 She's long outgrown her Kettler, so it was time for a big kid bike. The first day she took two spills on the bike trail -- thank goodness for the helmet! She remains our plucky girl though and hasn't been even a little bit afraid of getting right back on. Back in July . . .